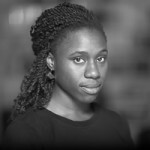 D&S affiliate Mimi Onuoha details the process of completely deleting data. This overwriting process is a bit like painting a wall: If you start with a white wall and paint it red, there’s no way to erase the red. If you want the red gone or the wall returned to how it was, you either destroy the wall or you paint it over, several times, so that it’s white again.